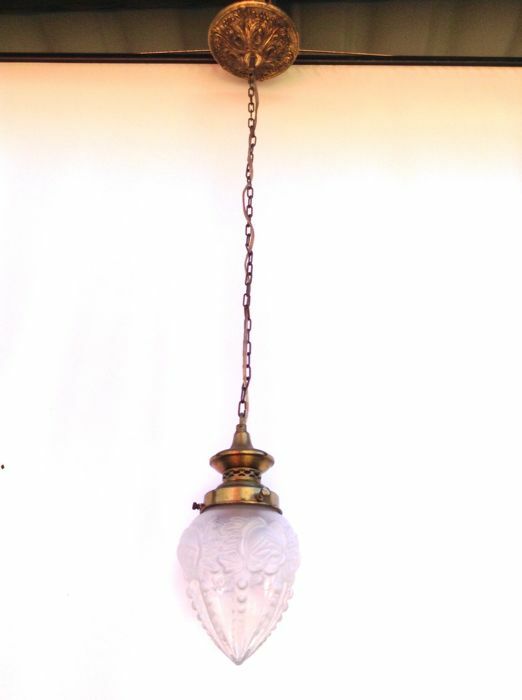 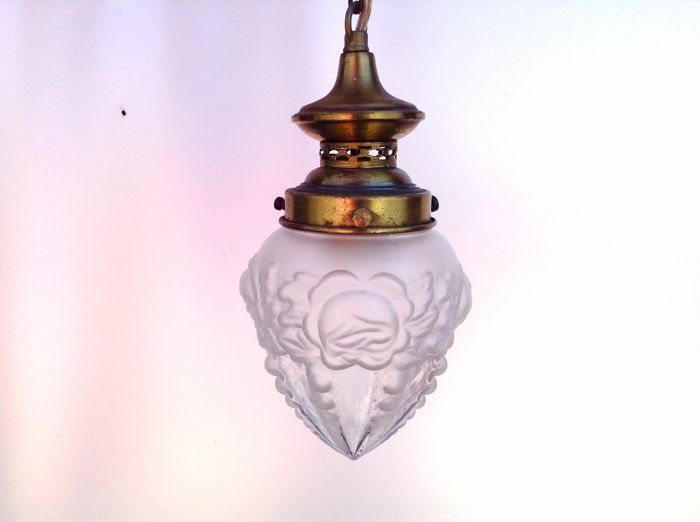 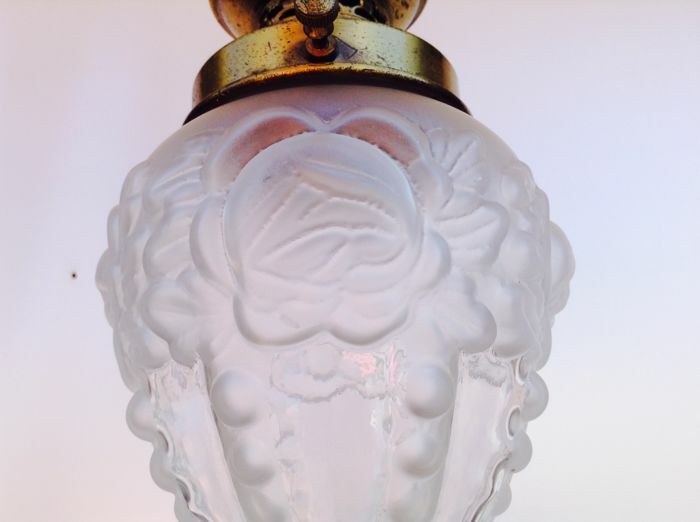 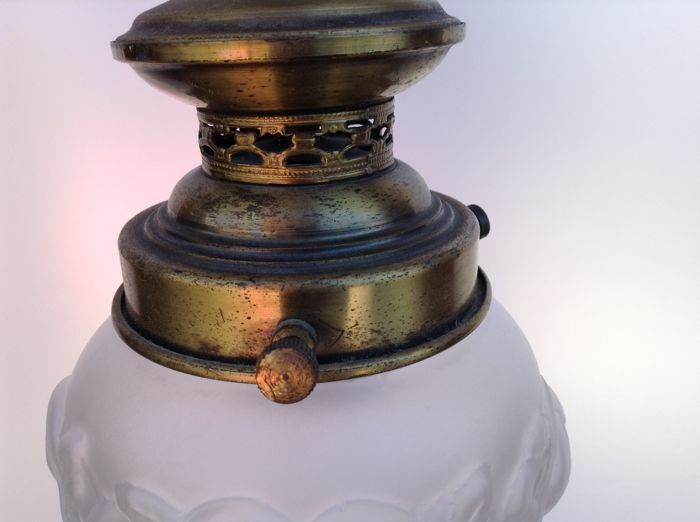 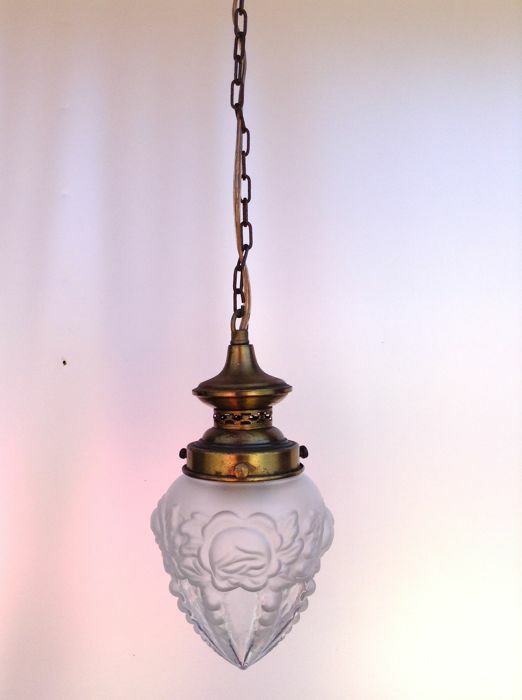 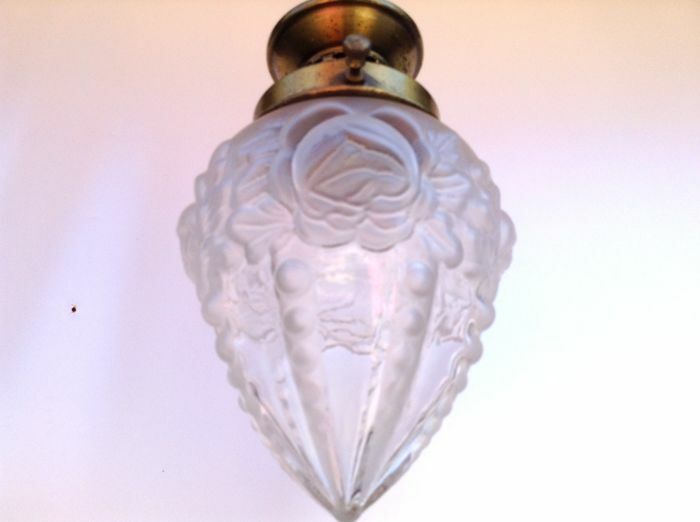 Ornate brass pendant lamp with a clear glass lampshade in a pointed shape. 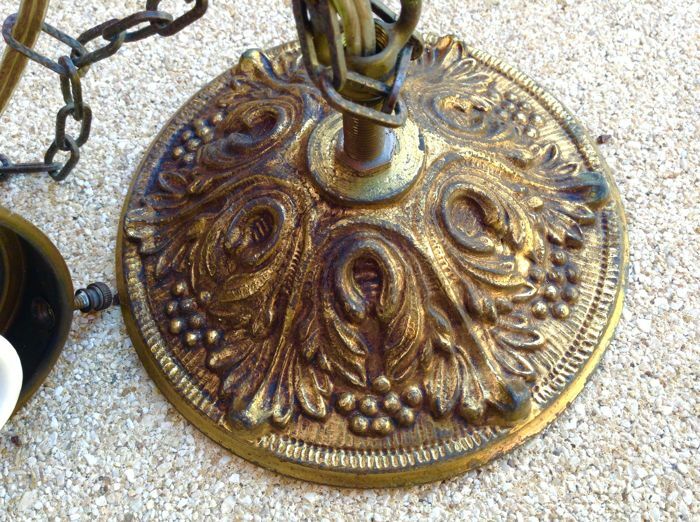 The lamp has a nice heavy bronze ceiling rose. 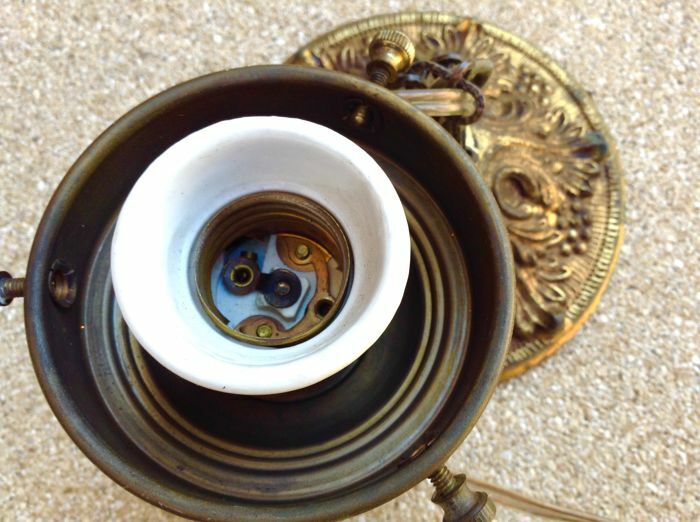 Original porcelain fitting in good working order. 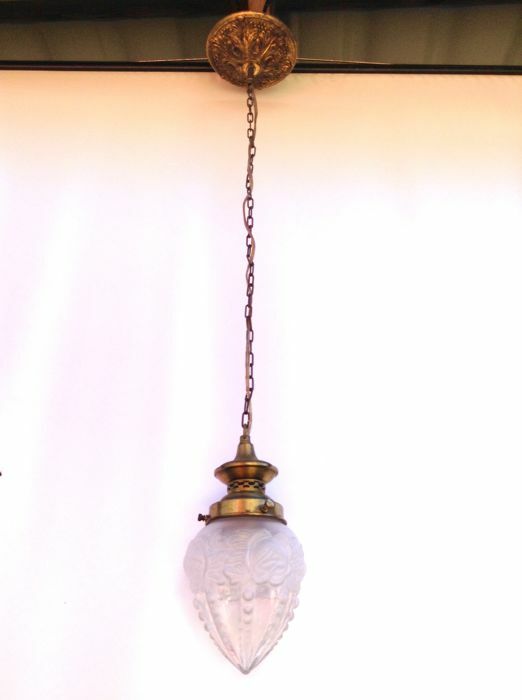 Dimensions of the lamp are: Diameter: 15 cm, Total height with the chain: 90 cm. 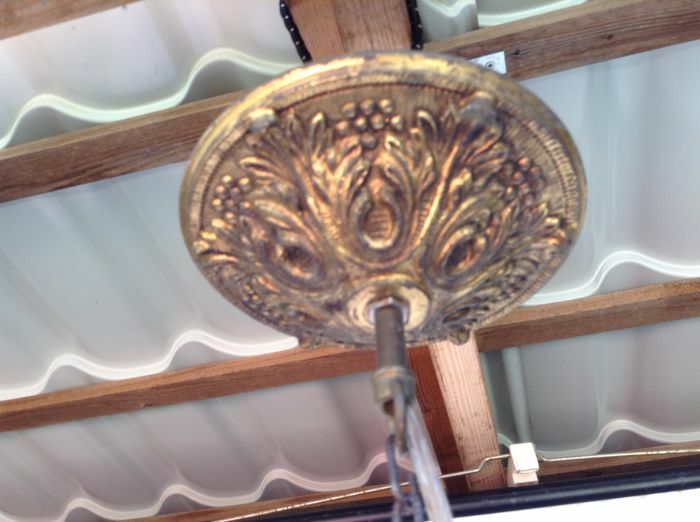 The Diameter of the ceiling rose is: 15 cm. Super beeld, klokje tikt perfect op tijd. 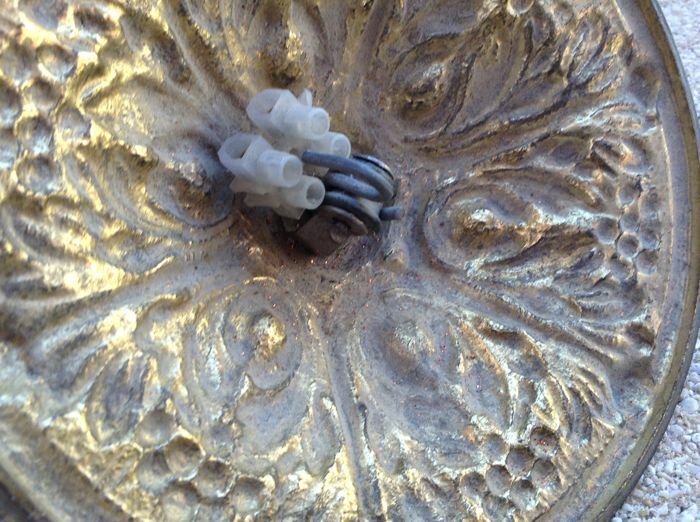 Prima verpakt, bedankt. Consegna veloce, confezionato bene in max sicurezza. 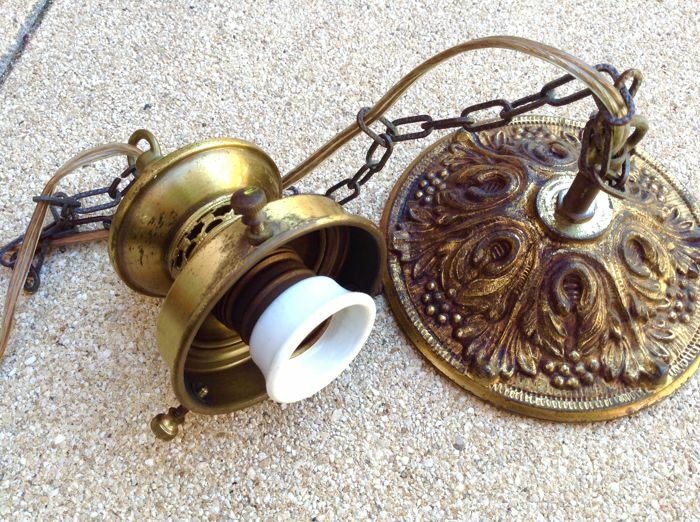 You can pick up this lot from the seller: Purmerend (Noord Holland ), Netherlands.